This indicator draws a fibonacci retracement (high and low) of a candle. 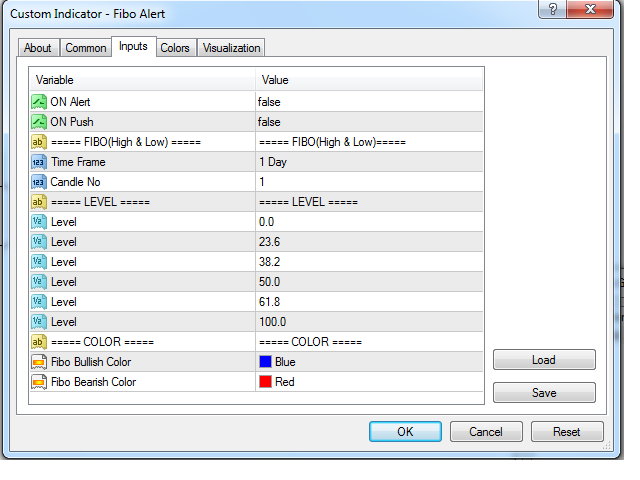 It alerts and notifies the user whenever price touches or crosses the fibonacci levels. ON Alert: set to true will alert pop up whenever price crosses levels at chart time frame. ON Push: set to true will send push notification to phone whenever price crosses levels at chart time frame. 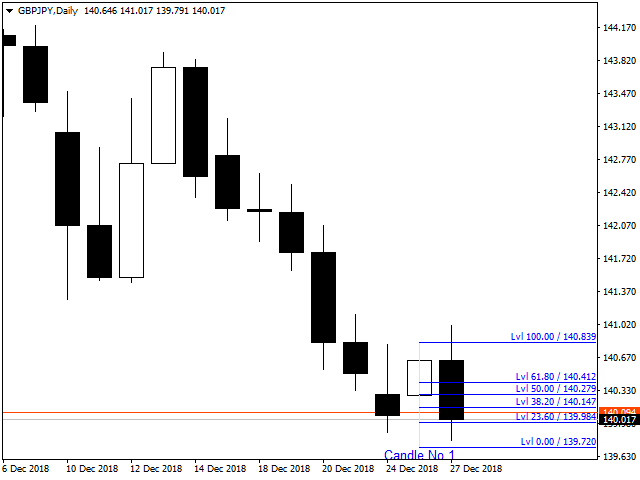 Time Frame: indicator draws fibonacci level of high and low of a candle at this time frame. Candle No: Indicator draws fibonacci on this candle. fibonacci levels to be drawn. Fibo Bullish Color: color can be changed. 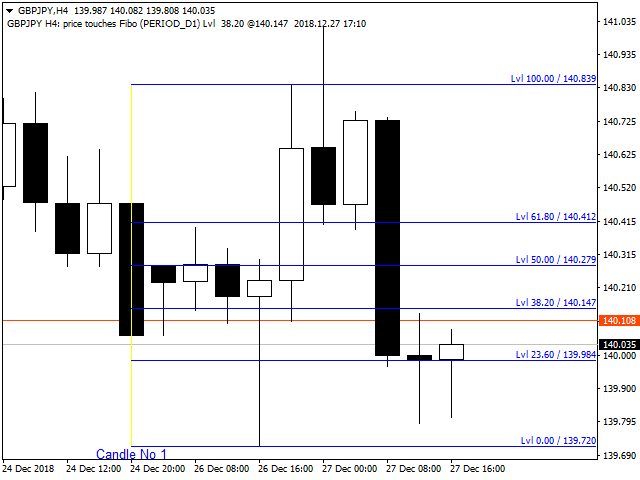 Fibo Bearish Color:color can be changed.